Wrestling legend and cult-film favorite “Rowdy” Roddy Piper has died after suffering a heart attack at his Hollywood home. He was 61. 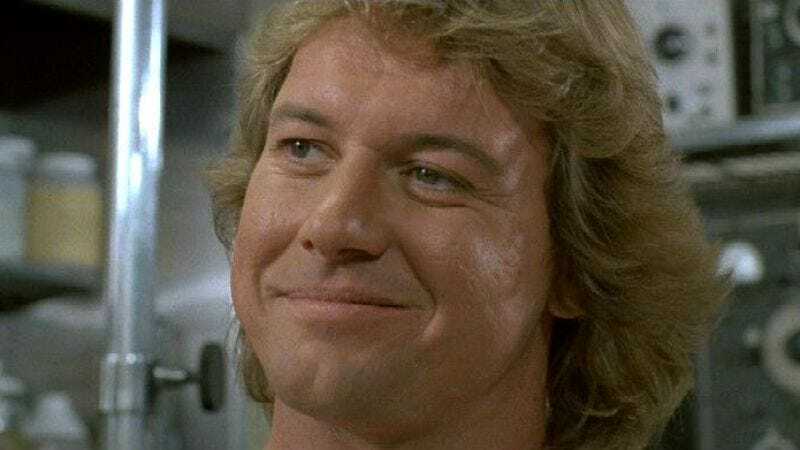 Born Roderick George Toombs, Roddy Piper rose to success as a member of the World Wrestling Federation after working in various lower-tiered pro-wrestling organizations, including the National Wrestling Alliance, throughout the ’70s. After joining the WWF in 1984, Piper started out as a manager for up-and-coming combatants in the squared circle. Toombs’ character, “Rowdy,” was perpetually clad in a T-shirt emblazoned with the words “Hot Rod” and a kilt; he would enter the ring to a bagpipe theme and say he heralded from “Glasgow, Scotland,” despite actually being raised in Winnipeg. When Piper returned to the WWE, he turned face, feuding with Adrian Adonis and playing an integral part in the Hulk Hogan/Andre The Giant feud. After that, Piper bounced between the WWF and WCW before returning to the WWE twice in the 2000s. In 2012, Piper was named the greatest villain in sports-entertainment history. When asked how he felt about that stigma, Piper, always a class act off stage, responded, “Actually I’m quite honored, and I’ll tell you why. The very first individual that breaks out in my mind as a top villain is Gorgeous George, and it’s hard to beat the first guy…I can’t tell you how many individuals in the industry would school me 24 hours a day. I would then perform at night and they would tear me up afterward, over and over, to help me perfect my craft.” Piper held the WWF Intercontinental Title in 1992, the WCW World Tag Team Championship in 2006, and held the NWA/WWF US Title three times in twenty years. Piper’s personality not only led to being a favorite in wrestling and film, but allowed him to appear on Saturday Night Live and various television roles, including on Walker, Texas Ranger and It’s Always Sunny In Philadelphia. Piper turned his “Piper’s Pit” into a podcast which was pulled from PodcastOne earlier this year, reportedly due to a feud, in typical pro-wrestling fashion, with fellow podcaster “Stone Cold” Steve Austin. In 2005, Piper suffered injuries as a result of a car crash. In 2006 he was diagnosed with Hodgkin’s lymphoma but was found cancer-free the following year. Piper is survived by his wife Kitty and his four children.